Showing 1 - 15 of 26 articles tagged "The Middle"
The Sue Sue In the City spinoff revolving around Eden Sher's character was ordered to pilot in August. Two days after landing his first standup special on Showtime, Mitchell has found another gig. 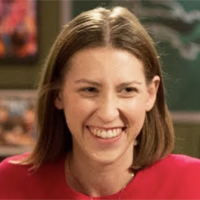 Eden Sher's Sue Heck spinoff will have two "Sues" in the title because she was born "Sue Sue. Sher, who is filming a spinoff pilot of The Middle, will guest on the NBC comedy as a potential employee. Sher's Sue Heck character could star in a potential spinoff from The Middle creators. "We had a whole board of stories we never got to," Eileen Heisler says of the series finale. “The finale really is a very satisfying ending for people who’ve loved the show for all these years. Flynn's streak extends from Scrubs to The Middle to the new NBC comedy starring Natalie Morales.